There is no living Nigerian leader who is like him and I cannot easily remember any past Nigerian leader who was quite like Obj. He is unique in many respects. 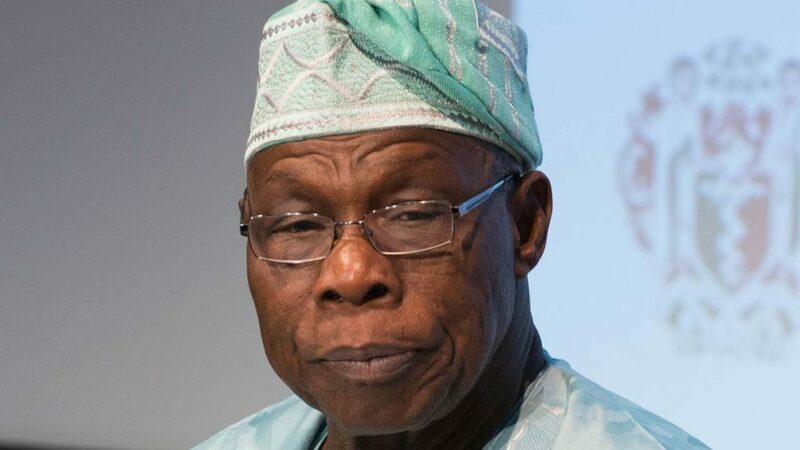 When you ask some Nigerians to give you a list of the bad political leaders Nigeria has or has had, you will find Obasanjo’s name prominent in the list sharing the podium with leaders like IBB, Sani Abacha, Shehu Shagari, Orji Uzor Kalu, DSP Alamesiagha, Bunu Sheriff, James Ibori, Rochas Okorocha, etc . When you ask what he did to merit such classification, they would readily reel out such actions: he plotted for a third term, he massacred Tivs in Zaki Biam, obliterated Odi Village, wasted so much money to give Nigeria darkness, introduced Ghana-must- go politics to the National Assembly, concessioned Nigeria to himself through privatization, introduced do or die politics, motivated the Niger Delta militants and attracted several crisis in Kano and Jos, killed the refineries and increased the price of PMS many times and fought anybody who opposed him including his VP and party chairmen, etc. Then when you ask for the list of good leaders Nigeria has or had, you will be amazed to also find OBJ’s name sitting pretty with such leaders as Dr. Nnamdi Azikiwe, Chief Obafemi Awolowo, Mallam Aminu Kano, Dr. Michael Okpara, Asiwaju Bola Tinubu, Mr. Peter Obi, Babatunde Raji Fashola, etc. Again what did he do to merit this classification? You will hear: he started the war against corruption by setting up ICPC & EFCC, he liberalised and stabilised Nigeria’s economy, negotiated Nigeria’s exit from global debt trap, brought Nigeria back to global reckoning, etc. That is OBJ for you. But if you ask me, I will, like the man born blind who was healed by Jesus and whom the Jews pressed to declare Jesus a bad man declare as follows. Whether OBJ is a good leader or a bad one, I do not know. But what I know is that he is an enigma and has become like Elijah, the man that troubleth Nigeria. Last week he returned to his regular beat- the voice in the desert. The man who gives voice to the feelings of the people of Nigeria, a kind of prophet who speaks without fear but often with favour. He midwived the emergence of Shehu Shagari as President in 1979, and when Shagari and his party, NPN turned Nigeria into a bazaar, Obasanjo spoke out against him. It was not long Buhari came. When IBB began his endless transition, playing roulette with Nigeria, OBJ came out strong and voiced his dissatisfaction, it was not long Abacha came. relationship with Herodias, his brother Philip’s wife. The imprisonment of the messenger instead of heeding the message stopped neither Herod from being eaten by the worms nor Abacha from being eaten by the “sour apple from India”. After asking “Umoru are you dead?” When he was struggling to enthrone the ailing Umaru Shehu Yardua as President, he was quick to criticize the Cabal that tried to prop him up when his health had failed and soon after, the doctrine of necessity ushered in Dr Goodluck Ebere Jonathan to power. Between 2010-2013, OBJ and GEJ were like 5 and 6, the Presidential plane would ferry OBJ to Aso Rock often for what TY Danjuma called ‘ nocturnal meetings’. In the letter, OBJ charged PMB with the following crimes: nepotism and clannishness, inability to secure lives and property, poor economic management, gross dereliction of duty, condoning of misdeeds, protecting criminals, dividing the Nation, poor understanding of internal political dynamics and over stretching his health and ended up with the advice that Buhari should not contest for a second term but should dismantle from the horse to allow another favoured by him ( OBJ) to mount this dishevelled, thoroughly abused but patient horse called Nigeria. Does this signal that PMB’s Presidency is over? Only God knows but if the trend I have shown above is anything to go by, then the sensible thing for PMB to do is to begin to seek for a successor. Or will he rather damn the prophecy and the prophet and push on. To be true, I must say that the response of PMB and APC has been most tepid. For the first time since Obasanjo became an oracle or a prophet to the kings, this King did not respond with anger. Indeed it was amazing to read the response of PMB as read out by Lai Mohammed – the fiery defender of the indefensible. The President said he had accepted Obj’s criticism and advice in “good faith”. Unbelievable! 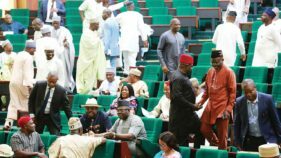 The same tepid response came from APC – the fiery party that will brook no criticism. The next day the party that denied its electoral promise to restructure Nigeria came out with proposals to restructure the nation. 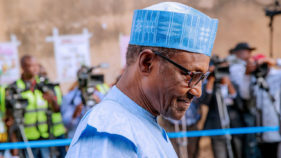 The day after eight bills long passed by the National Assembly which had been gathering dust on the President’s table were signed into law by PMB. Perhaps the difference here is that despite the baggages of the prophet, PMB and his APC seemed humbled by the prophecy. All of a sudden, their arrogance and haughtiness seemed tamed. That is indeed a positive development for the ‘Horse’.